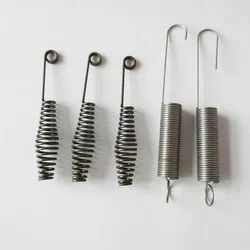 We are leading manufacturer, wholesaler and exporter of Tapered Springs. Backed by the support of our talented professional in this domain, we have been able to bring forward a qualitative range of Tapered Springs from our wide collection of springs. These springs are manufactured making use of supreme class material with the aid of modern technology by our adroit professionals at our production unit. 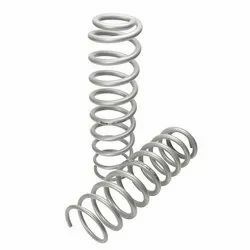 To avoid any possible flaw, these springs are strictly tested against several measures of quality by our quality experts. Besides, remarkable quality and high flexibility increase the demand of these springs in the market. Our in-depth knowledge and industrial expertise enable us to offer a distinguished range of Custom Springs. We manufacture these springs using optimum grade material and progressive technology as followed the defined industry standards. To deliver defect free delivery at our premises' end, these springs are properly inspected under the supervision of our quality examiners on different quality parameters. Apart from this, these springs are widely used in automobile industry for various applications. Looking for Tapered Springs ?